I usually prefer to live in a house when in Baguio but last weekend's stay at Azalea Hotel and Residences along Leonard Wood is making me re-think my preferences. First off, it is much more convenient. They offer a shuttle service from Manila to Baguio and vice-versa so you don't have to worry about who's gonna drive. The driver we had was extremely professional, courteous and safe. He picked us up in one of their shuttles: a spacious and clean Toyota Hi-Ace van. I was comfortable the whole way and our chauffeur gave me no reason at all to feel nervous with his driving. First stop-over was a quick lunch in Burger King. A couple of hours later, we finally arrived in Baguio. The entire trip took about 4 hours. 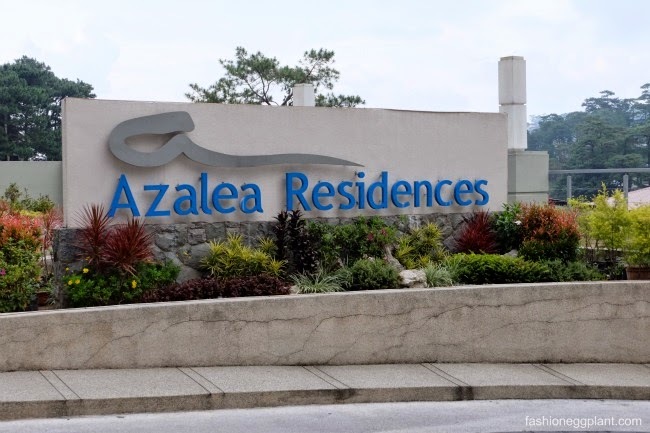 Azalea Residences is located in a private enclave off Leonard Wood (near Teachers Camp). It's pretty much hidden from the main road giving it a nice and quiet atmosphere. The facade is super impressive and I couldn't help but be wowed by it's ski resort-ish design. Best yet, their staff is friendly and highly attentive. Impeccable service began the moment our driver parked along the driveway and opened our doors. We were immediately greeted with warm smiles. Someone even offered a hand to help me disembark from the van, they took care of all our bags, brought them up to our rooms (with care) while we sat around relaxing, stretching our legs and enjoying our welcome drinks. I took the free time to explore the garden and playground outside and take my first outfit post for the trip. There were so many beautiful elements here that we never ran out of locations to shoot. (Will share that in my next post - travel friendly outfits). I was sharing a room with Ana so we picked the one with two double beds. Our beds were super comfy, nice mattress (not too hard, not too soft), luxurious sheets, a goose down comforter and pillows. All of the rooms have their own flatscreen TV's, dvd player, vanity and cabinets. I didn't miss staying in a house at all cause our room felt like one but with the added comfort and service of staying in a 5 star hotel. We could cook, drink and stay in if we wanted to and not worry about cleaning up after ourselves cause there was housekeeping for that! Awesome. There's also no need to bring toiletries (soap, shampoo, conditioner, shower gel, cottonbuds, nail file, cotton wipes, shaver, shaving cream, toothbrush, toothpaste), towels or slippers with you. All the rooms are generously loaded with these basic necessities. Azalea Baguio has 2 dining outlets in the ground floor: Tradisyon Pinoy Comfort Food and 88 Degrees Lounge. Normally, when on vacation and staying in a hotel, I opt to eat out to save money. What I loved about my stay in Azalea was that everything was so affordable that I didn't have to deprive myself the luxury of having a nice meal in the comfort of my own hotel. Their lunch and dinner buffets only cost around P300-P400 depending on the theme for the day. Ala carte dishes have an average price of just P100-300. Drinks range from P50 (soda), 70 (beer), 100 (for a fruit shake). 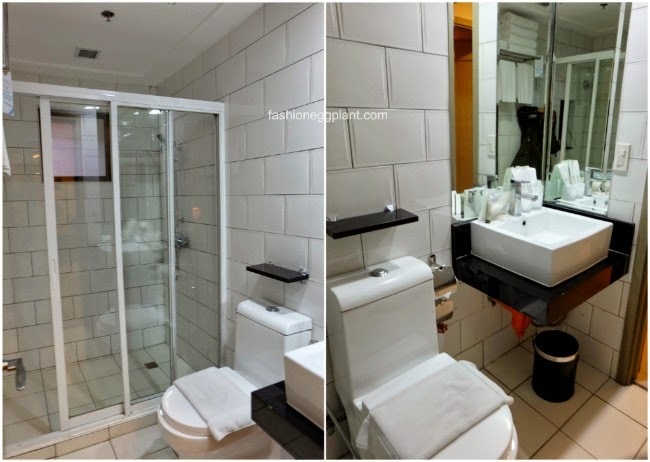 It's even cheaper when you order room service (beer is only P60/can instead of P70) + all rooms come with free breakfast buffets during the entire duration of your stay so that's one less meal to worry about. 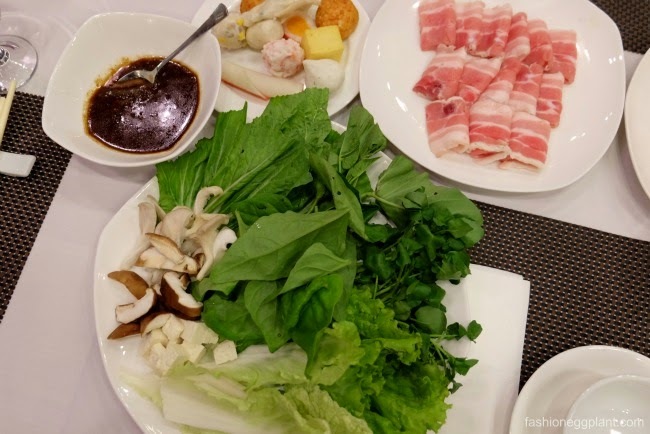 We had a hotpot/ Shabu-Shabu dinner at Tradisyon for our first night. P395 gets you unlimited veggie and meat refills. Everything was so fresh and delicious. I'm used to having a "special sauce" with my Shabu Shabu so I automatically asked for some. They didn't have any but once I had my first taste, I knew why. The broth was already flavorful you really didn't need to add much to it. I was happy adding just fresh garlic and spring onions to my soup. Fresh ingredients really make all the difference in the final outcome of any dish. Our second night, we had the Italian dinner buffet. There was a DIY pasta station, baked macaroni, veggie lasagna, several different kinds of pizza, dessert and many more. That was also really good. I extremely enjoyed their veggie lasagna that was super cheesy. Another must try at Tradisyon is their hot chocolate. It comes free (and unlimited) with all their buffets. I must have had 4 cups per sitting. Delish and rich! 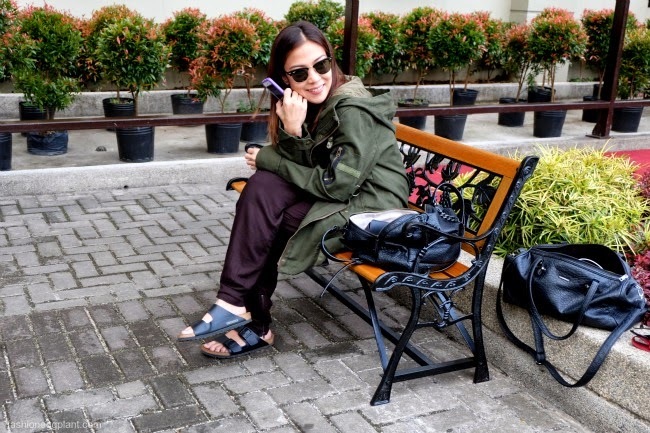 Perfect for relaxing in Baguio's cool weather. 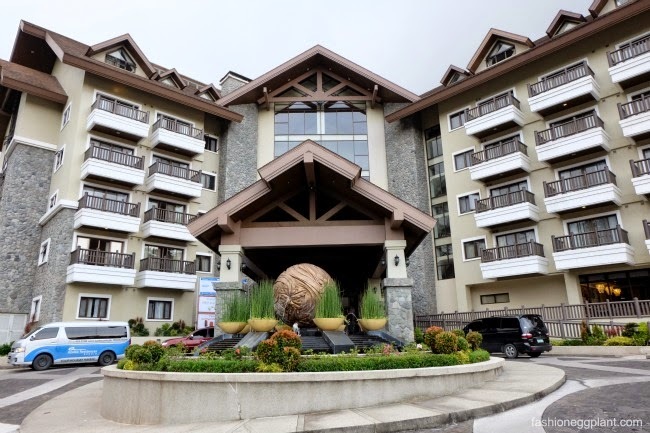 If you're planning a trip to Baguio, I highly suggest booking your stay at Azalea Hotel and Residences. 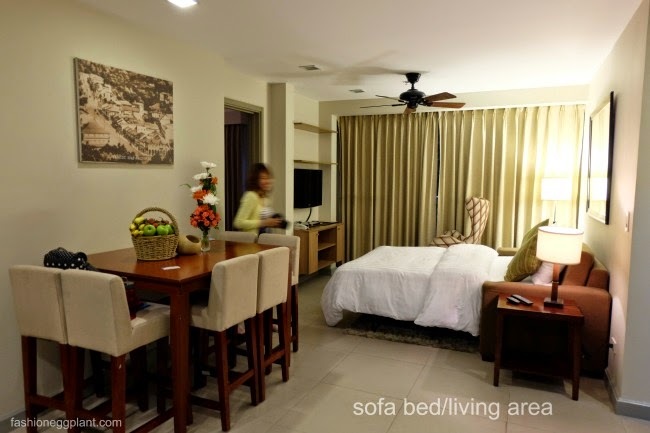 They offer luxurious accommodations with a very affordable price tag. Ask about their different promos and packages which include 3 hour private car privileges with driver to tour you around Baguio, free room upgrades, free breakfast, package tours to popular destinations in the city and many more that you can personally tailor to suit your unique taste and preferences. Choose between the Fun Family, Family Holidate, and Group Getaway packages that start at just P1800/adult (kids get to stay and eat for free)!!! Coming up next: our city tours + a preview of Azalea Baguio's presidential suite!